Join the Anji Play mailing list. Receive updates in your inbox! Ms. Cheng shared her experience, views and the principles that inform the practice of Anji Play with educators in Moscow during a visit sponsored by the Rybakov Foundation and organized by the foundation’s University of Childhood initiative. Over one hundred deeply engaged teachers and parents traveled from across the Russian Federation to hear Ms. Cheng speak at New School, Moscow. In her remarks, she described the history of the development of the Anji Play Approach, her role in that process, and the ideas that form the principles behind pedagogical decision-making, including the role of the teacher, environmental design and the use of technology in the school and classroom. In her address to educators at #EdCrunch 2018, Ms. Cheng delivered a clear description of the optimal learning that takes place when the conditions for True Play are present. At the same time, she delivered a clear criticism of models of curriculum and intervention in the lives and learning of children that do not truly place the relationship between the child and the adult at the center of all pedagogical considerations. Her radical commitment to the innate capacity of the child elicited protest from some of educators in the audience, and debate ensued on Russian social media about the appropriate role of the teacher in structuring the learning and experience of the child. Ms. Cheng visited primary school classes at New School, and the early education programs at the School of Self-Determination, founded by Alexander Tubelsky in 1985 on the site of School 734 and Kindergarten 869. She observed at the school, met with teachers and administration there and shared her views. Ms. Cheng also visited Kindergarten 1925, where she met with the school’s director and with the principal investigator there, Dr. Nikolay Veraksa, Dean of Psychology of Education Faculty, Russian State University for the Humanities. Dr. Chelsea Bailey addressed attendees at the annual conference of the Texas Association for the Education of Young Children (TXAEYC) on October 13 in Galveston. In her keynote address, “True Play: Cultivating the Conditions of Joy in Early Education,” Dr. Bailey described how our stance as educators can inform the creation of the conditions that allow for joy to become the experience of the child, teacher, school and community. She shared her insights into the history, practice and implications of Anji Play, based on her years working with Ms. Cheng and global educators and practitioners. Dr. Otto Scharmer, founder of the Presencing Institute at MIT and his colleagues visited Anji in June. During their visit, Dr. Scharmer and colleague Adam Yukelson spent time in Anji classrooms and learned directly from teachers about the Anji Play practice of observation and reflection. Adam recently shared his experience in Anji with the Presencing Institute and published a reflection on what he saw and heard there. Dr. Scharmer (center) with Principal Sheng Yi, Ms. Cheng, Dr. Bailey, Adam Yukelson (third from Right) and Dr. Chris Moffett, Anji Play Advisory Board Member (left). Efforts to scale Anji Play at the provincial level continue apace in Zhejiang Province. Teachers and administrators from the 103 schools implementing the approach traveled to Anji for three days of research, reflection and discussion in November. During this conference, Ms. Cheng reported on the progress of the work of the 103 schools and of the Anji Child Education Research Center, which she now leads. Environmental changes and the addition of official Anji Play materials at the schools now provide the environmental conditions that challenge teachers to step back and observe. A full report on this conference and the progress of scaling in Zhejiang Province is now available. Anji Play programs at public kindergartens in Guizhou, supported by UNESCO and Ministry of Education, and at public kindergartens throughout China continue to expand, grow and thrive as more educators begin to implement the approach and understand the principles of Anji Play. The 1st International True Play Conference: A Revolutionary Reconsideration of Learning, will be held from May 12 to May 15, 2019 in Anji. The conference will include contributions from global colleagues working at the forefront of thought on learning and children. Participants will include early educators, experts and policy-makers from within China and from the global educational community. More information, including a list of speakers and registration details, will be available on January 1st. Applications for participation in the first cohort of Anji Play Revolutionary Leaders are due by January 1, 2019. The 15-month program will begin on March 7 in Northern California. This cohort will become the first group of educators outside of China trained to share the Anji Play approach with local, regional, national and global communities. Wild Rumpus: an Anji Play Experience and AnjiPlayDate continue to thrive at Madison Public Library. This Fall, Carissa Christner, librarian and leader of the development of Anji Play programming at MPL, was recognized with the South Central Library System “Program Wizard Award” and the City of Madison Mayor’s Design Award in the category of innovation. She was recognized for the innovative contribution her work has made to the residents of Madison, WI. “We have discovered that for some teachers, if they really want to hear what children have to say, that their whole state of being is at ease, and they listen closely and that in the process of listening they discover that children are speaking a wealth of information, and these teachers will be receptive to the information that they are hearing. And then some teachers want to hear children say what they the teachers, deep down, want the children to say, things that they want to hear, and will unconsciously overlook what children are actually saying. They can't hear clearly and are unable to truly understand the child's expression. And you can see that their physical state of being is one of anxiety.” Wang Zhen, Vice Principal, Jiguan Kindergarten, Anji County interviewed by Dr. Bailey on November 7, 2018. "Anji Play: The Child's Right to Play," an in-depth, English language interview with Ms. Cheng, conducted by Joleen Voss-Rodriguez of (Professor, Los Angeles Valley College) appears in the current issue of Exchange Magazine. The interview provides valuable insights into the development of the Anji Play learning ecology, the challenges faced and overcome by Ms. Cheng and her core team of educators, and the critical work of building strong relationships with parents and the wider community. "Play is a fundamental right and a basic need of all children, regardless of where they live or their specific circumstances. The right to play flows from the rights to the love, respect, and trust of the adults in their lives. It is the responsibility of adults, particularly educational professionals and policy makers, to promote and protect these fundamental rights. When those conditions exist, children naturally engage in the deepest forms of play: discovery and insight. Therefore, the right to play is also the right to joy, the right to love, the right to engage in deeply meaningful learning experiences, and the right to grow, learn, and develop." Exchange Magazine is a subscription-based service. First time readers can easily register for free access to up to five articles, including this interview. A video of the address in the original Mandarin Chinese with Chinese and English slides can be viewed here (start at 24:50). We will soon provide a Chinese and English transcript and English subtitled version on our website and social media feeds. During Ms. Cheng’s visit to Cambridge she also addressed MIT MediaLab Lifelong Kindergarten Group on the invitation of Dr. Mitchell Resnick. This was her second presentation to the group and gave her and Dr. Resnick’s team the opportunity to dive deeper in her work and ideas. Carissa Christner, Childrens Services Librarian at Madison Public Library, Alicia Ashman Branch expanded her innovative Anji Play drop-in program to include three parks, three days a week during this, its third summer of bringing the joys of Anji Play to children, families and communities throughout Madison, WI. The free Anji Play Experience included more Anji Play materials this year, with the addition of climbing cubes fabricated in Madison and ladders, planks, mats, carts, blocks and barrels shipped from Anji County. Photos, interviews, play stories and Carissa’s reflections can be found on her blog. In addition to Wild Rumpus in Madison Public Parks, Carissa also brought Anji Play to Troy Land & Gardens this summer. Troy Gardens serves over a dozen child care groups that visit the Gardens on a weekly basis throughout the summer, and they also run a weekly day camp. Their innovative programming reaches children and families throughout the wider Madison community. Learn more about them here. These programs have been supported by the resources, commitment and generous efforts of Madison Public Library and the Madison Parks Division their staff, communities and stakeholders, and by a grant from The Madison Public Library Foundation. Madison Public Library’s Anji Play programming will continue in October with AnjiPlayDate at the Lussier Community Center on Thursdays from 9:30 - 11:30 am. Find more info here. Kids engage with Anji Play materials at Troy Gardens in Madison, WI. During our October 2017 Study Tour visit to Anji, Dr. Bailey addressed officials from Zhejiang Province Office of Education regarding the transformative value and historical importance of Ms. Cheng’s work and the Anji Play philosophy and approach as they considered the work of scaling the approach province-wide. In November, the Office of Education signaled their intention to adopt Anji Play as the official, full-time curriculum for all public early education programs in the province, including all public kindergarten programs. In May, the Office of Education publicly announced this plan. This major effort to scale the approach to over 2.5 million children ages 3-6 in Zhejiang Province began in earnest on July 12, 2018 when representatives from 103 public kindergartens that will implement the Anji Play approach visited Anji. These representatives from each of Zhejiang Province’s 90 counties visited schools, took part in professional development, learned from experts and practitioners, and received acknowledgement of their official status as Anji Play pilot schools. We will provide more updates detailing the progress of this important scaling effort and opportunities for our global pilot partners to learn from the work that is taking place in Zhejiang Province. Dr. Bailey addresses policy-makers from the Zhejiang Province Office of Education on Novmeber 3, 2017. Anji Play Study Tours continue to provide an unparalleled opportunity to experience Anji Play and learn from direct exchange and conversations with teachers, children, administrators, parents and high-level Chinese experts and policy-makers. Our April and June Study Tours included educators from the United States, Europe and Asia, and took us to ten schools per tour and to the site of the new Anji Child Education Research Center. During our June Study Tour we had the privilege to take part in county-wide professional development led by Ms. Cheng and Dr. Bailey (Chelsea), where our group participated in in-depth video analysis alongside teachers and principals from Anji kindergartens. Kaleem Caire, CEO of Anji Play Pilot Partner One City Schools and One City Schools Board of Directors Vice-Chair Joe Krupp, relfect on their experience at Shuangyi Kindergarten over lunch in Shuangyi Village, Anji. In addition to our upcoming Study Tours, we are excited to offer the Anji Play Revolutionary Leadership Training Program, a fifteen-month intensive learning experience that will prepare individuals to provide global leadership in the Anji Play Approach and take part in a revolutionary movement to return the right of True Play to all children. The first Anji Play Revolutionary Leadership Training cohort will accommodate up to 30 individuals and is open to anyone who shares a commitment to the ideals and principles of Anji Play, including but not limited to, classroom teachers; home-based care providers; educational leaders; play activists; policy-makers; parents; psychologists, play therapists and medical professionals; librarians, children’s museum and park-based program professionals; after-school, weekend and summer program providers; college educators and researchers; educational material designers and architects; artists and self-identified play professionals and advocates. Interested individuals should contact us at revolution@anjiplay.com and learn more here. We will host free informational webinars to answer your questions about the Anji Play Revolutionary Leadership Training Program on September 10, 2018 at 10AM Pacific Time and on September 11, 2018 at 6PM Pacific Time. Sign up to join us here. 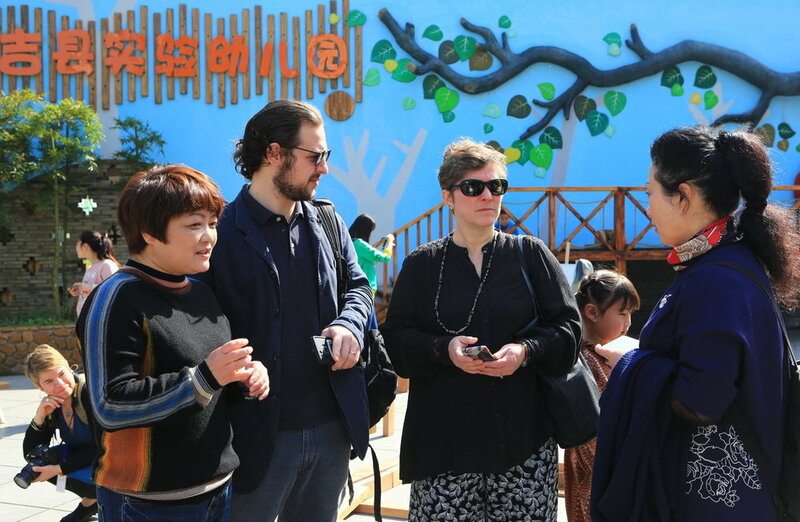 Dr. Bailey discussing the True Play Revolution with Ms. Cheng, Principal Zhangjie and Jesse Coffino at Experimental Kindergarten, Anji. 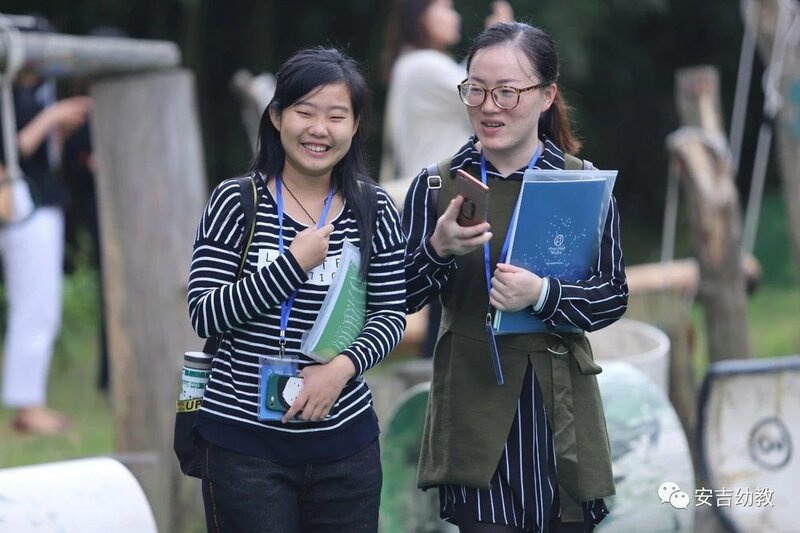 The Anji Child Education Research Center and the Zhejiang Province Office of Education will host the first annual True Play Conference in Anji County from May 12-16, 2019. The conference will include talks, presentations and conversations with national-level policy and practice leaders in China and important, innovative global voices, including our pilot partners and leading experts. Mark your calendars and stay tuned for more information about how to attend. This fall we will also a introduce bi-weekly Anji Play Open Classroom opportunity. These casual video conference based conversations will be drop-in and open to the public. They are an opportunity to learn more Anji Play, ask questions and follow-up on previous conversations and experiences. Check out www.anjiplay.com/connect for schedules and a link to join and follow us on Facebook, Instagram and Twitter for timely updates. Educational Policy Analyst Susan Ochshorn documenting Play Stories at Zimei Kindergarten, Anji. The lunar new year is off to a busy start for the Anji Play team. 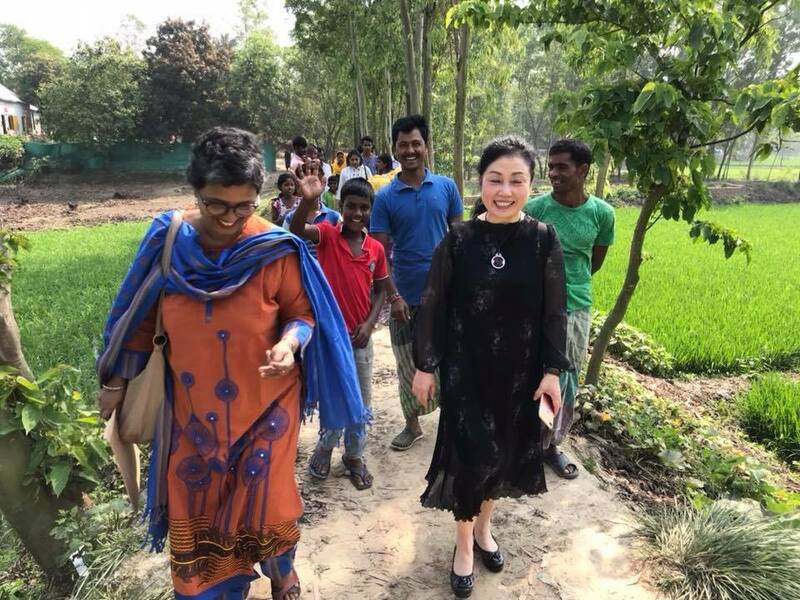 Ms. Cheng, Yuan Qing (Anji Child Education Research Center), Principals Qian Min of Zimei Kindergarten and Sheng Yi of Jiguan Kindergarten and Jesse Coffino (AnjiPlay World) traveled to Savar, Bangladesh where they presented on the history of Anji Play, the principles of Anji Play material and environmental design, the contours of the Anji Play learning ecology and the progress of efforts to scale the Anji Play Approach globally. Together we presented as part of the two-day Play Summit 2018, co-hosted by BRAC IED and the Anji Child Education Research Center. We had a chance to engage in deep dialogue with colleagues from BRAC, the Aga Khan Foundation, Plan International, the LEGO Foundation and the Ministries of Education of Bangladesh and Uganda, among many other colleagues from a wide range of organizations. Ms. Cheng also traveled to Billund, Denmark as an invited guest at The LEGO Idea Conference 2018, where she spent time with old friends from MIT Media Lab, Cambridge University, The Exploratorium, Ryerson University and Aarhus University learning about their work and making many new friends. Ms. Cheng will travel to Cambridge, Massachusetts on April 19th to spend time with researchers at the Lifelong Kindergarten Group (MIT Media Lab) and address the Chinese Education Symposium at Harvard Graduate School of Education, including remarks as part of the early education panel, and a 90 minute deep-dive presentation on Anji Play. 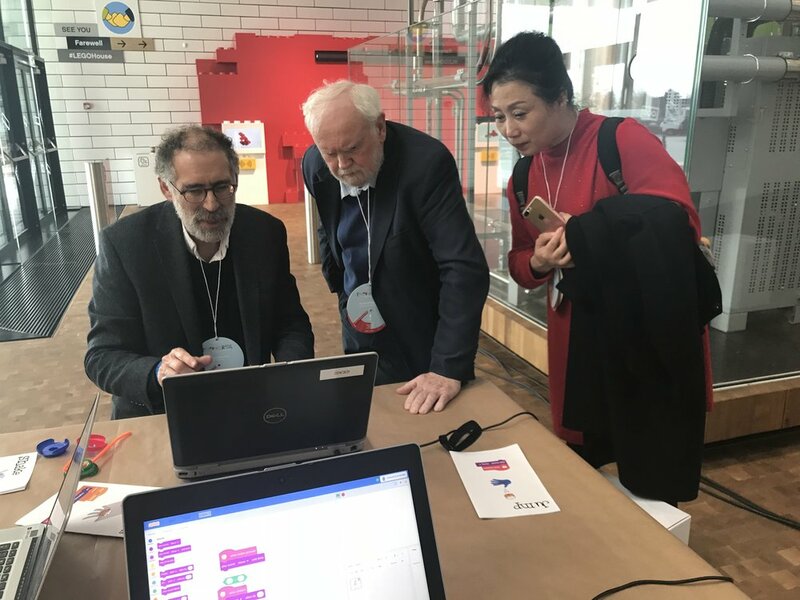 Ms. Cheng and Dr. David Whitebread (Cambridge University) learning about Scratch, from Scratch inventor and director of the Lifelong Kindergarten Group at MIT Media Lab Dr, Mitchel Resnick. (LEGO Idea Conference 2018). We will soon announce a series of regular drop-in discussion sessions and online parent workshops, stay-tuned for an email announcement and check www.anjiplay.com/connect for updates, dates and how to register/join. Ms. Cheng will visit California in May. In addition to delivering the keynote lecture at the annual Early Education STEM Institute hosted by the Region 9 Head Start Association in Los Angeles, Ms. Cheng will also provide institute participants with an opportunity to engage in hands-on play with Anji Play materials specially shipped to Los Angeles for the Institute. More info here. In addition to visits to our Bay Area pilot sites, other events are being planned. Follow us on Facebook for timely updates. "The reason that Anji Play works, its DNA, the reason it's different from a top-down model of defining outcomes that every kid should have, is because it's a grassroots ecology that is based on respect for the child, for the family, and for the teacher." This summer and fall were busy for Ms. Cheng and the Anji Play teams in the U.S. and China. We are grateful to our friends and pilot partners at Sierra College, Contra Costa College and Wu Yee Children’s Services for hosting Ms. Cheng during her visit to California in August. It was a unique opportunity for Ms. Cheng to spend time with teachers and children in the Bay Area and the Sierra Foothills and connect with friends from Hacker Lab, CAAEYC and Region 9 Head Start Association. Ms. Cheng was also able to share her revolutionary approach to design with an engaged community of makers in the Sacramento area, a talk that was live-streamed in China and viewed by over 50,000 educators there. In China, the True Play revolution continues to grow and drive local, provincial and national change. In addition to the Anji Play approach expanding to every kindergarten in Huzhou Municipality, home to 80,000 children ages 3-6, it will also be the focus of piloting efforts in each of Zhejiang Province’s 90 counties, with one pilot kindergarten in each county to be selected through a rigorous review process. There are approximately 2.5 million children ages 3-6 in Zhejiang Province. 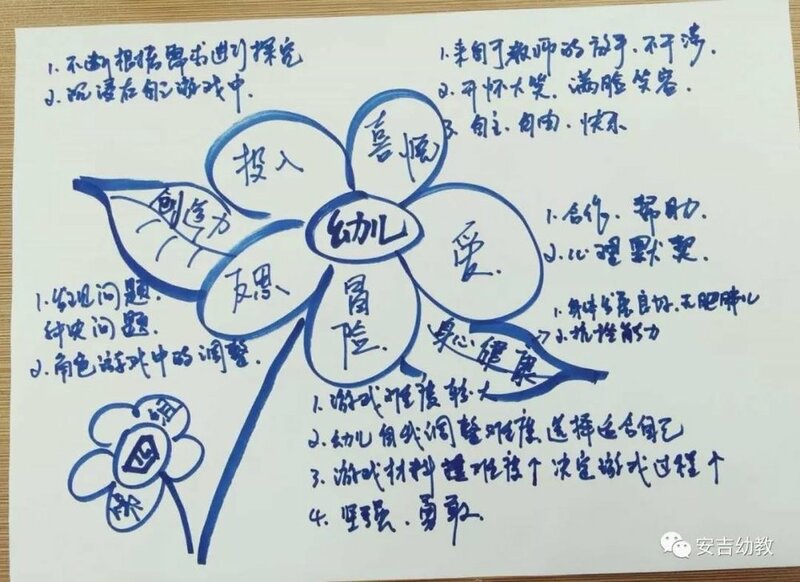 This plan for province-wide adoption was announced on November 1 by Wang Zhenbin, Director of the Office of Early Education, Zhejiang Province Department of Education, at an event in Anji where Dr. Chelsea Bailey addressed educational leaders from Zhejiang Province about the global importance of Anji Play. Two weeks later, representatives of UNICEF and the Ministry of Education convened a meeting of educators in Anji to address the question of increasing the quality of early education through a study of the Anji early education ecology. Wang Zhenbin, Director of the Office of Early Education, Zhejiang Province Department of Education, Professor Hua Aihua and Ms. Cheng learn about the play plans of a child at Jiguan Kindergarten. In October, we were joined in Anji during our third Study Tour by a deeply engaged group of global educators. In addition to representatives from our pilot partners--Carissa Christner from Madison Public Library, Mary Anne Kreshka and Nicole Asbridge from Sierra College and Michele Naidoo from Contra Costa College--we were also joined by educators from Uganda, Tanzania and Bangladesh, renowned play therapist Larry Cohen, and innovative educators from Madison, WI. Please check out our Facebook page www.facebook.com/anjiplayworld to see updates from each day of our amazing seven day experience at ten diverse schools. Dr. Intisar Shareef deeply engaged in observation at Aimier Kindegarten during our April Study Tour. She will be dearly missed. We are excited to offer two more Study Tour opportunities during the 2017-2018 school year: April 7-15, 2018 and June 2-10, 2018. We have also hosted several successful free webinars introducing the Anji Play approach, providing in-depth information about visiting Anji and most recently discussing the process of piloting the Anji Play approach. "The principles and practices of Anji Play are suited to all children, regardless of their age, and True Play is the right of every child. Every child of every age needs our full trust and needs us, as adults, to step back. And it is not only children in play who require love, risk, joy, engagement and reflection, but as adults, our work and our learning should also manifest these five core principles." 2016-2017 was a busy school year for Ms. Cheng and her teachers in Anji and for our team here in the United States, a year full of exciting developments, new friendships and new and expanding pilot programs. As more and more educators learn about Anji Play and as more children benefit from growing recognition of the importance of risk and self-determination in play, we are inspired to see the core principles of Anji Play--love, risk, joy, engagement and reflection--taking root in the global pedagogical discourse. Last October we hosted the first Anji Play Study Tour with an engaged group educators from the United States, Singapore and China. In addition to a week spent visiting eight Anji kindergartens, we had extraordinary access to Ms. Cheng, her teachers, principals and took part in high-level dialogue with a visiting group of educational leaders from across China. Mary Anne Kreshka (Sierra College, CA) and Dr. Annie White (CSU Channel Islands) returned from their trip to begin work on a unique pilot program at Sierra College Child Development Center (more in Pilots and Events below). In December, we welcomed a group from the PlayFutures foundation. PlayFutures members including Carla Rinaldi from Reggio Emilia, Dr. Jack Shonkoff from Harvard and Bertha Magoge leader of the innovative South African NGO Training and Resources in Early Education spent two days visiting schools and meeting with children and teachers. In April, our second Study Tour included participants from nine countries. In response to feedback from our first Study Tour, the second iteration included an entire day at Jiguan Kindergarten and more meetings and conversations with Anji parents. Our group included educators from colleges and universities in the United States and Australia, and representatives of the globally influential NGO BRAC from Bangladesh and Tanzania. Dr. Intisar Shareef and Sandra Moore, Chairs of the Department of Early Childhood Education at Contra Costa College, CA returned from their trip to begin work on a unique pilot program at the Contra Costa College Early Learning Center (more in Pilots and Events below). The impact of Anji Play and the True Play revolution continues grow in China, where, at the end of May, the Ministry of Education kicked off a month-long, national initiative to promote self-determined, True Play in all public and private early education programs. The kick-off began with a national-level conference in Anji, an Anji Play exhibition and a renewed commitment from the Ministry of Education to include the principles, practices and materials developed by Ms. Cheng in national educational guidelines. Educators and policy-makers from across China take part in a series of events and an exhibition in Anji. In June, the China National Society for Early Childhood Education hosted a two day "Research Institute on the Anji Play Pedagogical Model" in Anji County. Dr. Peter Mangione (WestEd), Prof. Cas Holman (RISD) and scholar of curriculum theory and design Dr. Chelsea Bailey shared their global view of Anji Play with 850 educators from across China, speaking alongside Ms. Cheng, Prof. Hua Aihua (East China Normal University), Prof. Liao Liying (Beijing Normal University), Ms. Zhang Jie (Principal Anji Experimental Kindergarten) and Ms. Sheng Yi (Principal Anji Jiguan Kindergarten). Dr. Peter Mangione, Dr. Chlesea Bailey, Cas Holman and Jesse Coffino take part in the "Research Institute on the Anji Play Pedagogical Model"
In July, Krystina Tapia joined the Anji Play team as Global Teaching Lead. Ms. Tapia, a graduate of UCLA and Teachers College, Columbia University, joined the first Study Tour in October and volunteered as a guide during our second Study Tour in April. She will spend the fall in Anji working in a 3s classroom, gaining important insight into the process of introducing Anji Play to children as they first begin their experience of the three year, full-time Anji Play kindergarten curriculum. We are eager for Ms. Tapia to develop models for working with teachers and educators globally focused on the Anji Play approach. We are pleased to offer open enrollment for three upcoming 7-day, 8-night all-inclusive Study Tours: October, 2017 and January and June, 2018. Discounted early-bird registration for the October 14-22, 2017 Study Tour has been extended to August 15. Register now to enjoy a significant discount. We have also begun to offer a series of introductory webinars that have drawn hundreds of deeply engaged participants. In the coming months, we will expand these opportunities to include more in-depth introductions to the principles and practices of Anji Play, specialized sessions for pilot programs and specific practice areas (including library programming, parenting and community organizations) and topics like environmental design and material selection. Please check out our website, Facebook, Instagram and Twitter feeds for timely announcements of dates, times and registration details for these webinars. Ms. Cheng will visit California from August 5-20, in addition to meetings with key institutional partners, we are excited to co-host two important public events. Ms. Cheng and Dr. Bailey will provide an in-depth introduction to the Anji Play approach with time for audience Q&A. Ms. Cheng and Dr. Bailey will provide an in-depth introduction to the larger Anji Play ecology and the connection between ecologies of True Play and the maker movement with time for audience Q&A. Dr. Bailey and Jesse Coffino will address members of the Lawrence Livermore National Laboratory community about the history and development of the Anji Play ecology with an emphasis on the role of communities and parents. Open to Laboratory employees only. Dr. Bailey’s keynote address “True Play and the Recovery of Joy in Early Education" will address the central role of self-determined play, love, risk, joy, engagement and reflection in creating efficacy in ecologies of learning and communities of practice. This fall will see the publication of the first foundational book on the Anji Play approach with essays by Dr. Chelsea Bailey and Anji Play advisory board members Drs. Peter Mangione and Julie Nicholson, as well as insight and analysis from acclaimed Chinese scholars. While the book will initially appear in Chinese, we are planning for English-language publication, and hope to preview the book for our friends by sharing the essays of Drs. Bailey, Mangione and Nicholson in the coming months as we work on translating the essays that will appear in original Chinese. We are actively working to create the first prototype for an Anji Play app. The app will allow teachers, administrators and parents to share in the processes of documentation and sharing. The app will be robust with multiple functions to support ecologies of True Play. Importantly, it will allow for educators, children and families to connect across regional, cultural and class divides, and share their experiences, observations and insights and develop a common language of True Play. We continue to update our website, including the recent addition of a critical bibliography covering topics like risk, cause-and-effect hypothesis and literacy. Future updates will include FAQs about piloting, translated interviews with Ms. Cheng, Anji Play research and expanded opportunities for dialogue and engagement. Your feedback is incredibly valuable to us, so please never hesitate to let us know what you would like to see more of, want us to add or change. And please check our social media feeds for updated resources. When your goal is to convince someone to take an action, to change their stance or to change their community, you must first allow them to identify your ideals within their own experience. "Play Memory" is an incredibly valuable tool developed by Ms. Cheng that achieves just this end. As Ms. Cheng saw that her attempts to bring joyous play to the 130 public kindergartens under her supervision had resulted in "false play," children playing according to the expectation of their teachers, she asked herself and her teachers to reflect on their deepest memories of play as children. Through this practice she began to identify common themes: outdoor play, risky play, play with large, minimally structured materials, play that took place over extensive periods of time without constant adult intervention. Her developing approach, and the environments and materials of Anji Play, were informed by these individual and collective memories. When parents objected to the risky, self-determined play taking place in their children's schools, she asked these same parents to recall their deepest memories of play as children. In response to their joyous and wistful recollections, the natural next question became, "Don't you want your children to have these same experiences, these deeply ingrained memories that you carry with you to this day?" If you are a teacher, a parent, an administrator, take a moment to ask yourself this same question, "What is my deepest memory of play as a child?" Then ask someone you know, a colleague, another parent, your dentist or mail carrier. Start expanding your circle of true play allies. Change starts with conversation. Change starts with shared experience and common dreams.